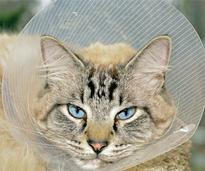 Planning to bring your cat or dog with you to Lake George? Live in the area and looking for pet services? In the features below, you'll find information on pet-friendly accommodations, pet-related stores, veterinarians and emergency clinics, and things to do with your pets that can be useful for both locals and visitors! 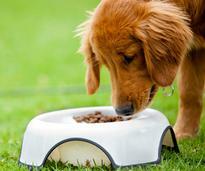 Find hotels, cabins, cottages, inns, bed & breakfasts, and house rentals that welcome dogs and cats. Some are even open year-round! 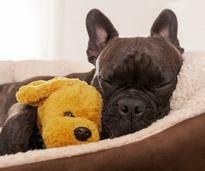 Book your pet-friendly accommodation today! 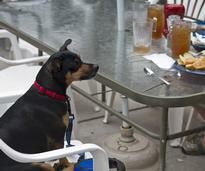 Well-behaved four-legged family members are welcome at a number of dog-friendly restaurants in and around Lake George that offer outdoor seating for humans. Enjoy the outdoors with your pup! 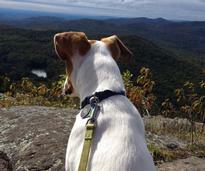 Find dog-friendly hiking trails, parks, and beaches where four-legged friends are welcome. Forget something at home? Visit these pet supply stores to stock up on food, treats, toys, bedding, crates, and anything else you need to keep your pet healthy and happy. Visiting for a week, a month or all summer? Live here year-round? From routine checkups to emergency treatment, these vets and emergency clinics in and around Lake George provide the care your pet needs. Learn basic commands, move on to more advanced training, or find a place for your pet to stay and play while you're out of town or at work. 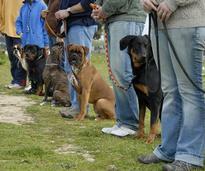 Browse obedience, daycare & boarding facilities.